These Plus Size dress ups come with fast shipping Australia wide from our online costume store! Plus size costumes galore! We cater for a wide variety of shapes and sizes and our plus size range is here to extend that vision so that everyone can wear a fancy dress costume that they love. 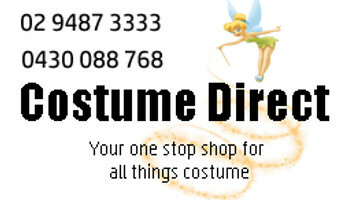 Our plus size costumes come in an extensive range perfect for dress up parties, Halloween and costume events. From Vampires , Pirates, Arabian and the Grim Reaper to 1920s gangster and Magenta from the Rocky Horror show-all in plus size costumes. Abba fancy dress costumes plus size, plus size mens costumes Australia, Star Wars costumes plus size, plus size superhero costumes Australia. We have the best plus size 1920s dresses in Australia. Be blown away by our range of animals and characters, whether Cartoon or Disney. You'll have the best costume by far!